So many people ask me why I write romance. Well, I love anything romance and believe that everyone needs a little romance. Of course I’ve met many skeptics that don’t believe in romance. They often tell me it’s only found in sappy novels, Valentine candy or something similar, but they insist it’s only in the mind. For me I don’t believe that. I don’t consider most romance novels sappy, but sometimes the sappier the better, but I’m a romance novel junkie and I readily admit to the problem. Many have asked me when I started loving romance. My love for romance began when I was the tender age of 13 and picked up my first romance novel. I read many Harlequin and dime store novels, so many in fact that I carried them everywhere. One of my dear friends from school came to my book signing on Valentine’s Day and she told me that she remembered me carrying a romance novel everywhere I went. She said it only made sense that one day I’d be a romance author. 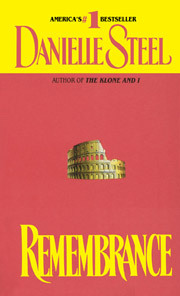 But the day I picked up the book “Remembrance” by Danielle Steele, well let’s just say I was lost in a world of the imagination. She took me to foreign countries and many adventures that stirred this country girl’s young heart. That’s when I started filling notebooks with the words that sprang to my heart. That was when I woke up to the world of romance. Unfortunately not everyone shares my love of romance. Some people have been hurt by love and they turn away from romance. Some people look in the wrong places for the right person and they end up bitter and alone. But some try desperately to find romance and when it’s not found easily they become skeptics. I’m not saying everyone will find that once in a lifetime romance, but I will say this, in order to find romance you’ve got to believe in it with all your heart. That’s where romance comes from and if you believe, it will come. I know I’m just a sappy romance writer, but I know romance exists. I’ve experienced romance and it’s wonderful. That’s one reason I love writing romance. I want my readers to see how real romance happens. My books explore romance but in real life form. It’s not always easy and sometimes my characters struggle to find it. But that’s how life is sometimes. Some of my fans say I take them away from everyday life and immerse them into my world of romance for a while as they read. That always makes me smile. So, do you believe in romance? I hope so because everyone needs to experience it at least once in their lifetimes. It can happen in a simple touch, dinner or just a look across the way. But it exists for those that believe and when you find it everything seems better. Categories: Uncategorized | Tags: Always, Author, Believe, Books, Danielle Steele, experience, Explore, Lifetiem, Look, Love, novels, Remembrance, Romance, touch, writer, Writing | Permalink. If you’ve read my bio then you know I’ve been writing for many, many years, but only started publishing in the last two years. For me it all started when I was a tender, young teenager and I picked up the first Danielle Steel book, Remembrance. I was entranced in the splendor of her writing. The story took me across the ocean to Italy and I was carried away with the story. The story filled me with inspiration and helped kickstart my career as a writer, but of course I didn’t know that at the time. The book was filled with so many emotions such as anger, romance, love, grief, sadness and excitement. I was lost to the great romance book. I even wanted to go to Italy and experience this feeling there. I read this two inch thick book twice that summer. The next year at school I actually did a book report on the book. My teacher was skeptical at first, but then she allowed it. Let’s just say, I turned many listeners over to Danielle Steel fans. I found myself scanning books in the store many times to grab her books. Now, back then we didn’t have Amazon, so there was no looking up online. Then I was given a membership in the DoubleDay Book Club and that really did it for me. With the membership I was given several free books and yep, they were all Danielle Steel. When they arrived I was in awe. I was the happiest girl. I remember inhaling the scent of the newly printed pages and believe me when I say that I still do this with new paper backs. I still have those many stories that I handwrote so many years ago. Although the writing has faded slightly, I can still feel the same excitement as I read them. Some of my books that have been published started from those books. Do you have a author that’s inspired you? Tell us about them. Categories: Author, Believing, Books, Experiences, Heart, Inspiration, Life, Lost, Love, Memories, Passion, Published Books, Reading, Remembrance, Romance, True Story, Writing | Tags: Amazon, Danielle Steel, Inspiration, Remembrance, Romance, Teen, Writers, Writing | Permalink.